Are you working on your festive makes? I’ve got a tutorial today to show you how to create this fabulously elegant and easy snowflake card! You’ll be able to make loads of these really quickly! 1. Cut down black card stock to 6×6 to make your card base. Emboss one side. 3. 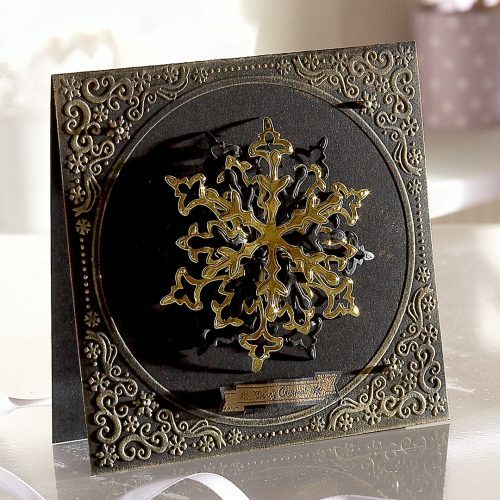 Die-cut and emboss the large snowflake twice… once in black card and another in gold mirri card. 4. 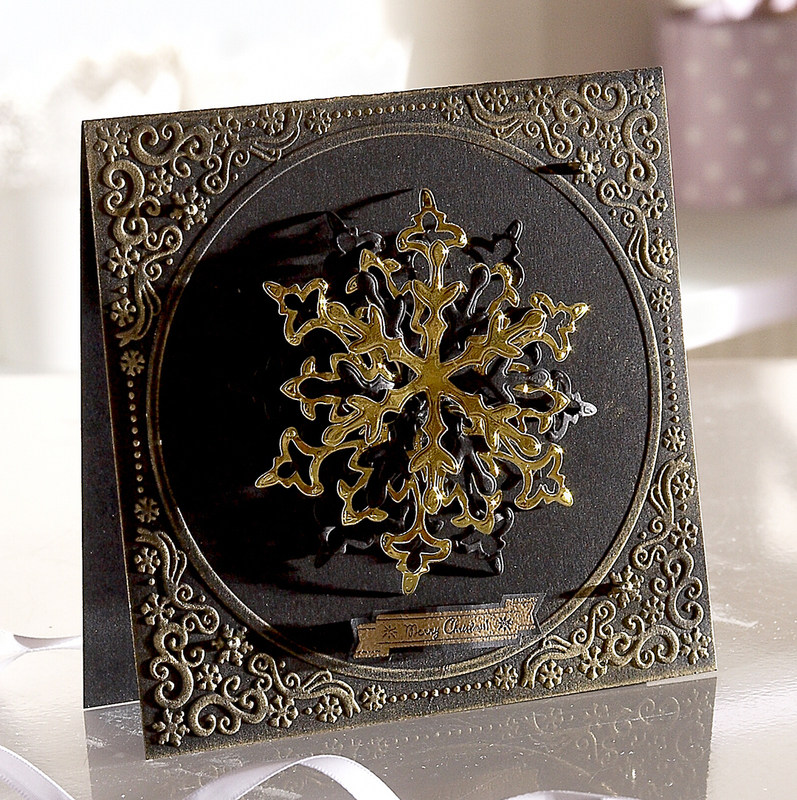 Add the large snowflake in the centre of the card (first the black, then the gold). 5. Stamp the sentiment with versa ink and heat emboss with gold embossing powder. If you’ve missed any of the peeks, tutorials, videos and other info I’ve shared you can find it all by clicking here.